In a Nutshell: As many as 27 million US adults are carrying out-of-pocket medical expenses on their credit cards. That number continues to grow as credit cards become the go-to funding option for medical bills. Patients expect physicians and caregivers to accept credit cards on multiple platforms that provide easy and secure access. More than 45,000 US healthcare providers use Kareo, a cloud-based medical billing platform that accepts credit cards in person, over the internet, on the phone, or via a generated statement. A quick signup gives new clients instant access to a virtual terminal for accepting credit payments with no setup fee or long-term contracts and with transaction fees as low as 2.3% plus $0.30. Thousands of Americans visit independent medical offices each day in search of one-on-one attention from a physician and a cure for whatever ails them. After the patient leaves the office, their journey toward recovery continues. For the physician, the journey to get paid for his services may just be getting started. Countless hours are spent by medical office staff each year dealing with insurance billing, sending statements to patients, and managing the various payment methods the office accepts. That all adds up to time that can be better spent helping patients and growing a practice. Credit cards have become the go-to payment method for most out-of-pocket medical expenses. As many as 27 million US adults currently carry medical debt on their credit cards and that number continues to rise. But accepting credit cards isn’t the lone step toward sorting out medical billing problems. More than 45,000 physicians and other healthcare providers use Kareo’s cloud-based medical technology platform to manage billing and offer payment options that are convenient and accessible to patients. Medical practices using Kareo can check patients in, review eligibility, and collect their copay and any outstanding balance all on the same screen. Kareo’s payment solution then allows the biller to see any payments that are received into the system. 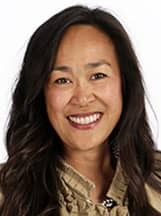 “In analyzing the business benefits of Kareo’s payment processing features, we have seen a 17% higher patient collections rate for customers taking advantage of our simple and streamlined payment processing and patient statement system,” said Clarissa Riggins, Vice President of Product at Kareo. Part of that uptick in collections is attributed to the diverse platforms patients can use when making a payment. Kareo clients can accept payments through a mobile app or online portal. Payments can also be made over the phone or in person. Processing credit cards through Kareo is fast, secure, and fully PCI compliant. Standard transaction rates when the card is present is 2.3% plus a $0.30 interchange fee. When the card is not present, such as for phone and online transactions, the rate is 3.9%, plus $0.30. “In the near-term, we are working on negotiating a lower blended rate as well,” Riggins said. By taking advantage of its paperless processes with electronic charting, scheduling, billing, and reporting, Kareo processes $43 million in credit card payments annually. And since the solution is based in the cloud, the company is constantly updating and expanding without the need for backend upgrades or technical support. Given its track record of processing excellence, Kareo has earned our Editor’s Choice™ Award for its streamlined credit card processing abilities and security. Kareo uses a self-signup online module to onboard and set up new customers in a matter of minutes. New signups are given immediate access to a virtual terminal that allows instant credit card processing with payouts in days instead of weeks. Clarissa Riggins is the Vice President of Product at Kareo. Kareo charges no setup fees and requires no long-term contracts from clients. Accounts can be canceled anytime. “We’ve also removed the traditional contracting and signatures that go back and forth during signup and onboarding, which is especially helpful for medical billing companies that are managing multiple practices,” Riggins said. The solution’s dashboard offers end-to-end claim tracking and billing analytics that break down nearly every aspect of a practice’s billing and accounting. Multiple ways of capturing charges, like mobile application access and online portals, makes paying a bill more convenient for customers. Kareo has received extensive industry recognition for its billing and EHR solutions, including being named among the Deloitte Technology Fast 500 and Black Book’s No. 1 Integrated EHR, Practice Management and Medical Billing vendor. 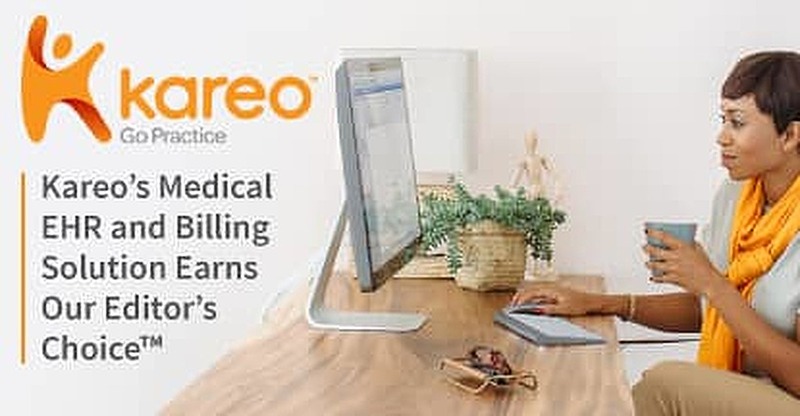 In addition to serving independent medical practices directly, Kareo also offers solutions for billing companies that provide revenue cycle management for practices. For practices that require recurring billing options, Kareo offers the ability to maintain cards on file while still maintaining PCI compliance. This task can be especially tricky without the platform as PCI standards suggest not storing card information. Every business leans heavily on its credit card processors to keep transactional and card data private and secure. Very few industries understand privacy and security more than the medical field, where confidential records and medical files are protected by federal law. More than 45,000 US healthcare providers turn to Kareo’s medical billing solutions each year. The security, flexibility, and affordability the platform provides make it attractive to new clients, who can take advantage of instant online setup features that provide immediate access to credit card processing software. Kareo’s award-winning medical billing solutions require no setup fee or long-term contracts. Practices using the software can check patients in, review insurance eligibility, and collect copay and any outstanding balances all on the same screen. The solutions take a task that was once one of the largest consumers of office time — billing — and turns it into an automated process that takes only a few clicks to claim payments and organize patient records.